Benetti is one of the oldest builders of luxury motoryachts in the world. 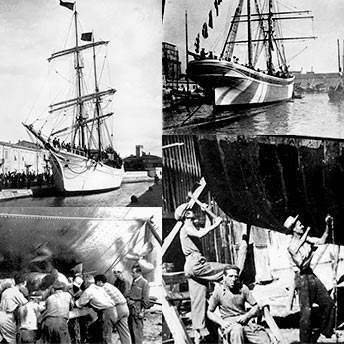 Established by Lorenzo Benetti in 1873, the company began life building wooden boats used for local and international trade. After the death of Lorenzo, his two sons Gino and Emilio took over the management of the boatyard. They changed its name to Fratelli Benetti and quickly built up a reputation that extended beyond the Mediterranean. After the Second World War, with the disappearance of commercial sailing vessels built from wood, Benetti changed direction and began producing pleasure craft made from steel. Then in the early 1960s the boatyard produced its first luxury mega yachts. Since 1980 the fleet has included big motor yachts in the 30 to 60 meter range and beyond, not least the famous 86-meter ‘Nabila’. In 1985 the Boatyard was acquired by the celebrated Turin-based boat builder Azimut Spa, which brought in new management and transformed Benetti into the modern, technologically advanced reality we know today: a forward-looking and innovative boatyard, but also one that proudly retains its traditional values of experience, skill and a passion for fine craftsmanship.